Dec 28 Comments Off on Dental Myths: Fact or Fiction? Dental Myths: Fact or Fiction? There are lots of myths surrounding dental care and treatment. Inaccurate information may make you feel confused and anxious, wondering if some daily habit is destroying your teeth. In times like this, it’s good to seek out expert knowledge. 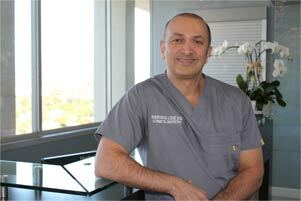 Los Angeles cosmetic dentist Dr. Shervin Louie is here to put an end to these dental misconceptions and misinformation. FICTION. When you experience tooth sensitivity, it does not necessarily mean that you have a decaying tooth. Tooth sensitivity can have multiple causes, such as gum recession that exposes the tooth’s roots. You may just have naturally sensitive teeth. If you do, then it is advisable that you visit a professional dentist like Dr. Louie who will perform an examination and establish the exact cause of your tooth sensitivity. 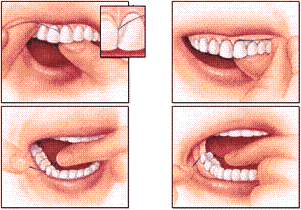 In the case of a gum recession, a filling can be done to cover the exposed root. FICTION. If you have not established a flossing habit, then your first time flossing may make your gums bleed. This is normal and your gums will build up a tolerance if you continue. But in any other case, bleeding gums are not normal. They may be a sign of gingivitis. The good news is that this condition can be treated. There is also a misconception that bleeding gums should not be brushed and should be allowed time to heal before they can be cleaned again. But the bleeding is itself a result of not brushing. Gums that have not been brushed enough tend to develop bacteria around and beneath them that irritates the gum and makes it bleed. Regular brushing will help get rid of all the bacteria. FICTION. Whereas it is true that cavities are a result of bacteria breaking down sugary substances into harmful acids that corrode your teeth, it is not true that more sugary foods will necessarily result in tooth decay. The important factor is the amount of time that sugary substances stay on your teeth. The longer they stay, the more the chance of cavities and decay. For example, if you drink soda through a straw, the liquid bypasses your teeth and does not contribute to decay. But if you eat a bar of chocolate and allow the sticky reside to coat your teeth, cavity formation is greatly accelerated. It is always advisable to brush your teeth or rinse your mouth with water after every meal and especially after eating sugary foods. FACT. While many factors contribute to bad breath, from the last food you ate to even what time of day it is (“morning breath” is a real phenomenon), bad teeth do lead to bad breath. Many people with bad breath resort to using breath fresheners and mouthwashes, which is treating the symptoms rather than the cause of the problem. Daily brushing and flossing will significantly reduce bad breath. But if it persists, you should visit a professional like Dr. Louie to see if you have any serious dental issues. May 24 Comments Off on What should I know about Periodontal disease? What should I know about Periodontal disease? Periodontal disease is an inflammation caused by plaque that forms on your teeth. Periodontitis can affect the surrounding area of the tooth. This could range from a simple gum inflammation to a serious disease. In more advanced stages, the surrounding structures become affected and can be destroyed. Apr 26 Comments Off on Do you have one or more missing teeth? 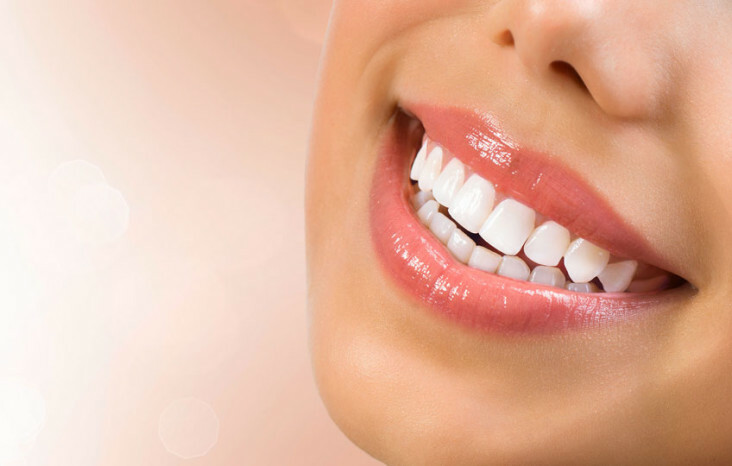 If you have missing teeth: Dental Implants is the best option for you. Apr 07 Comments Off on What can I do if I don’t like my smile? What can I do if I don’t like my smile? 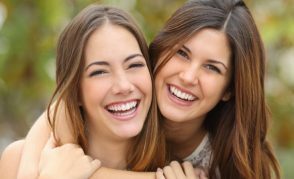 Cosmetic Dentistry is aimed at creating positive change to your smile it does everything possible to fix any issue you may have in your teeth and make your smile healthy, bright and beautiful. Oct 06 Comments Off on Carbonated Drinks: Are they worth it? Carbonated Drinks: Are they worth it? Maybe you know it as soda, or maybe even pop? How ever you may identify a sugary, carbonated drink they can cause serious oral health issues. Dr. Louie, the best Dentist in Los Angeles has seen an increase of patients with erosion of the tooth enamel (protective layer of the tooth). Carbonated drinks also contain acid that eat away enamel, once enamel is gone it will not grow back. It has become one of the most effective sources of tooth decay. Targeting people of all ages, some teenagers drink as many as 13 soft drinks daily and the average American up to 45 gallons a year! Carbonated drinks can contain over 11 teaspoons of sugar per 12 oz can! You will be prone to have dental decay and dental erosion as you continue to drink soft drinks on a daily basis. Students who sip on soda all day while studying are main targets for tooth decay. When soda is consumed in a long period of time your teeth are actually being bathed in acid! Dr. Louie, your LA dentist, suggests you don’t consume soda at all but he has some tips for patients who continue to drink it. Rinse with water if brushing is not possible. 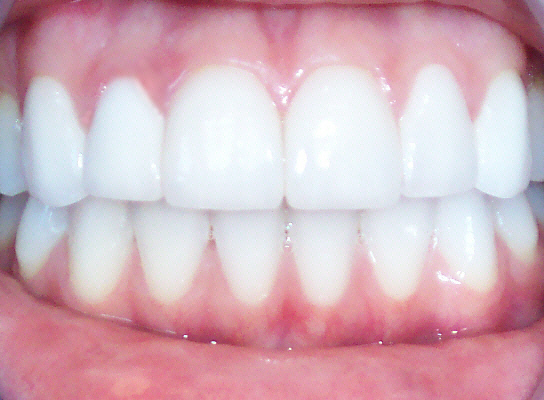 Get professionally applied fluoride treatment: Dr. Louie can apply fluoride in gel form. “Tooth sensitivity can become a lifetime problem, solution can be a mouth full of crowns.” Dr. Louie said “That’s harsh to the pockets, especially if there’s a solution to this and that’s limiting and possibly not drinking soda at all. By practicing good oral hygiene and with our help, you can counteract their effect and enjoy better oral health.” Depending on consumption of soda, the erosion process can be extreme. What are the triggers for sensitivity? Hot and cold drinks, even cold air can reach the tooth’s nerve and cause pain. Can you imagine that? Not being able to enjoy the food you love or even a specific kind of weather. We hope this information will help with your oral health, please feel free to ask us questions! Bad Breath:That would be the first sign, it’s not just you who affected but it’s the people around you as well. Be courteous, no one likes to talk to someone who has bad breath. Teeth Discoloration:Your smile, it’s not just going to be yellow it’s all kinds of yellow brown color. Yikes! INCREASED buildup of plaque and tartar. You’ll see it mainly on your lower front teeth but that’s only what you can see! 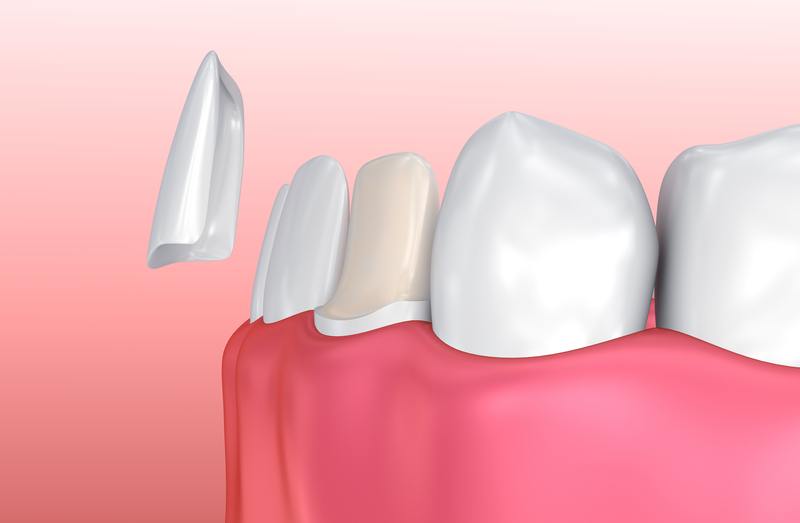 DELAYED healing process: Extractions, periodontal treatment and oral surgery. INCREASED risk of developing oral cancer. Think twice about picking up that next cigarette, is it worth your body breaking down? These are just some risk you take when smoking. This is not something new, many people walk around with missing teeth. When we were younger it was something normal because our baby teeth were coming out because our “big boy/girl” teeth were on its way into the world. But that’s it you guys! THAT’S all we have left until we grow old. Our teeth are meant to last us forever, as long as you take care of them. Sadly, things in life happen. We neglect them and now, stuck toothless and it seems like its all downhill from there. Incorrect! Just like technology, dentistry has evolved and things are looking brighter for those who are concerned about their appearance and also their health. There are a few choices for replacing a missing tooth. Go to the best dentist in town and see Dr. Louie, have a consultation and see which works out for you. This will not only change your appearance but also, how you eat, your health, and just an overall a joy of knowing you have a great smile. Jan 10 Comments Off on Wisdom Teeth: Should They Stay or Should They Go? This is a perfect example of impacted wisdom teeth coming in sideways, on the other side you can see the two wisdom teeth coming in normally. Wisdom teeth do not serve any purpose and is located in the very back where it’s usually hard to reach and very crowded! If you’re experiencing pain because of this, it’s time to get rid of them! Give the best dentist in LA a call and we’d be more than happy to help you make this happen. Don’t wait call today! Thanksgiving, Christmas, Hanukkah just a few major holidays approaching fast. Are your teeth ready for the future damage we all know that’s going to take place? Staining of the teeth (maybe of all the red wine? ), tartar build up from all the eating, maybe a broken tooth or filling because of the endless amount of nuts. Lets face it, we all love the holiday season but it comes to a point where all we do is eat and the most work we have is chewing. Dr. Louie understands that this maybe the busiest time for you, seeing family and friends, flying out of town and not bringing all your “gadgets” that you usually use for your oral care. Dr. Louie knows all about it and heard all the stories that can happen within the months of October (Halloween) – February (because of Valentines Day). Let’s focus on the preventatives. Teeth cleaned before all the chaos. I know it sounds crazy getting your teeth cleaned and then getting them dirty again after, Dr. Louie suggest you come in and get your regular cleaning, we use a more concentrated fluoride gel that helps prevent cavities to form. Scrape away all the existing tartar that forms around the gum area, so that after the Holiday season it won’t build up as thick. Be thorough with your brushing and flossing. This will definitely help your oral hygiene, so stop hiding behind mouthwash and gum! Water, drink lots of it. Especially for the wine lovers. If you didn’t know, wine stains your teeth. Dr. Louie suggests to either drinking water after wine or rinse, so the acids that’s in wine doesn’t stick to your enamel. Now, let’s talk about what we can do when an existing problem is taking place. For example sensitive area around your tooth, there can be a few explanations on why it’s sensitive. Who better to diagnose your teeth than someone who works with it every single day, Dr. Louie is a professional who can tell you what is exactly going on in your mouth. Whether it’s from sensitive to a broken tooth, come in and let’s have the best Dentist in LA check it out. Ask him all the questions you may have, he’ll be more than happy to take the time and listen and explain. Being a former USC teacher, he loves to educate people and loves answering questions.